An Important Note About Saturday, 8/11 — Tree House Brewing Co.
We have to be serious for a second. There is a crisis. A crisis of beer. Enthusiasm for our beer has been humbling and our limited brewing capacity has finally caught up with us. We will have just two beers available this weekend, instead of our typical four. Dirty Water - 4.2% Blonde Ale. Crisp, refreshing. That’s What Dean Said - 6.3% Milk Stout. Less bitter than TWSS, with more chocolate. And… ! New glassware ! So excited for these. 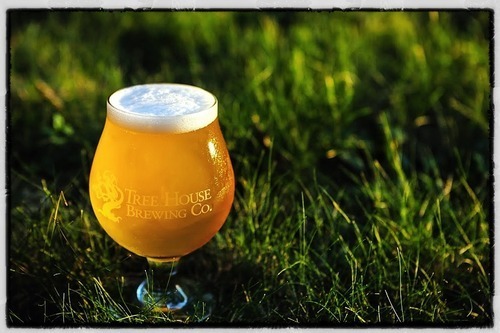 Sturdy & elegant with a satin etch of the Tree House logo, these are the perfect home for our nurtured ales. Available immediately on Saturday ! “Julius” - Our favorite all american IPA! “Cleona” - Our rich, malty Irish Red Ale. “Old Man” - Our complex, fruity ESB. “That’s What She Said” - Our velvety Milk Stout. Chocolate cream… Smooth. “Rapture” - Dirty Water with a bit more oomph. “Aftermath” - Breakfast Stout - Think gigantic “That’s What She Said”, without the residual sugar. Massive. Chocolate, Sumatran Coffee. Decadent. Cannot wait for this!! So there’s plenty to look forward to… See you Saturday!